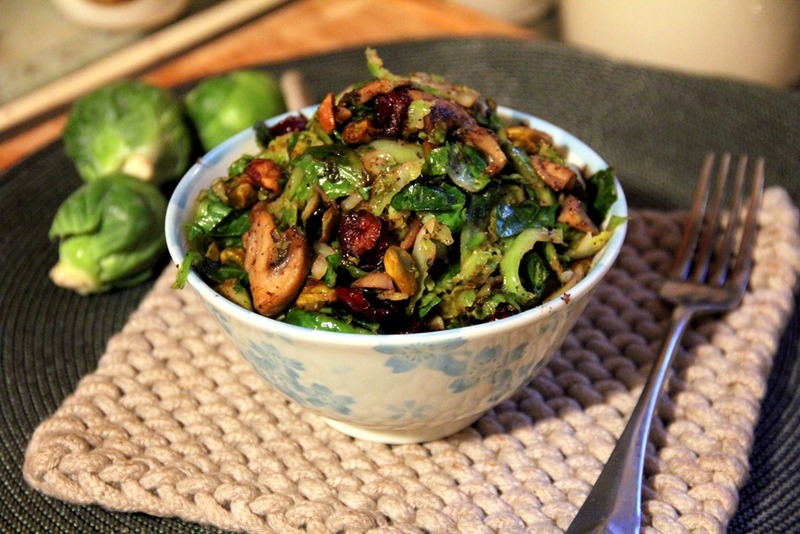 I personally believe Brussels sprouts are best cooked with butter, salt, and pepper. 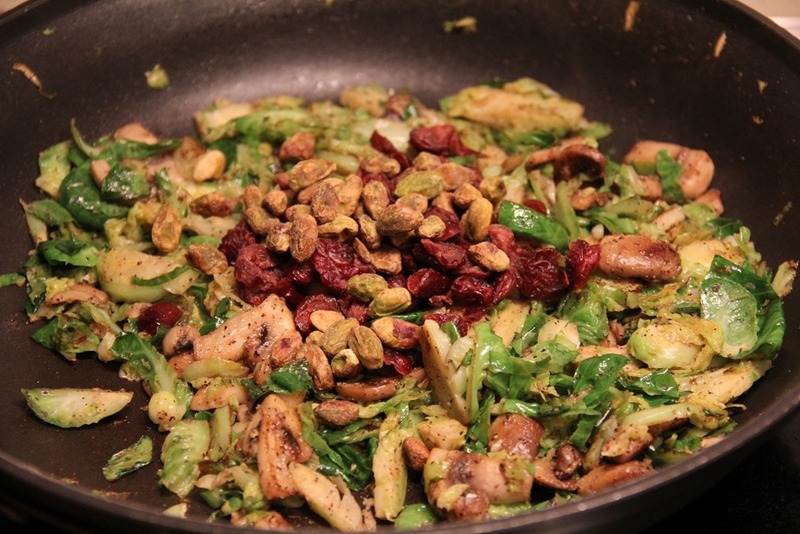 Sometimes, a little more flavor makes the mix even more exciting. 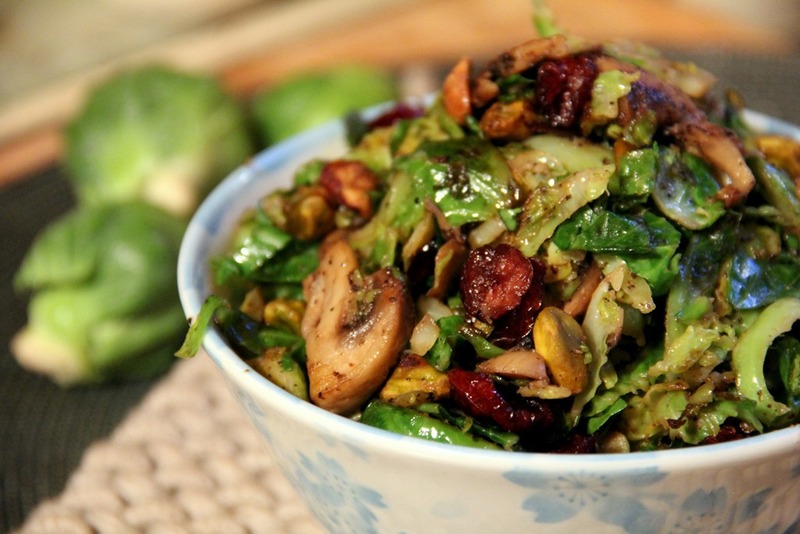 This Brussels sprouts salad is cooked with mushrooms, pistachios, cranberries, butter, and garlic. The sweetness from the cranberries add a great contrast to the other deep, earthy flavors while the pistachios offer a much welcomed crunch. Enjoy! Brussels sprouts: are unique in that they offer DNA protection – they stabilize DNA in white blood cells if eaten daily (about 1 1/4 cups serving). 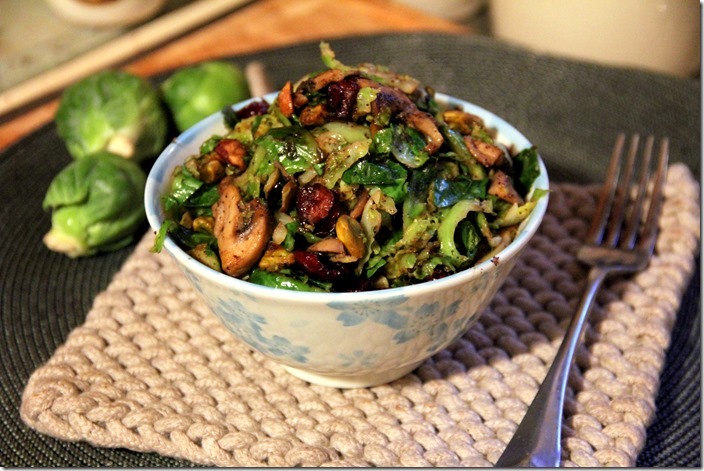 They are chockfull of cancer-preventative glucosinolates (types of phytonutrients) and the chemical sulforaphane. They are low in sodium and fat and a great source of vitamin C (142% of the RDA in just 100 grams). 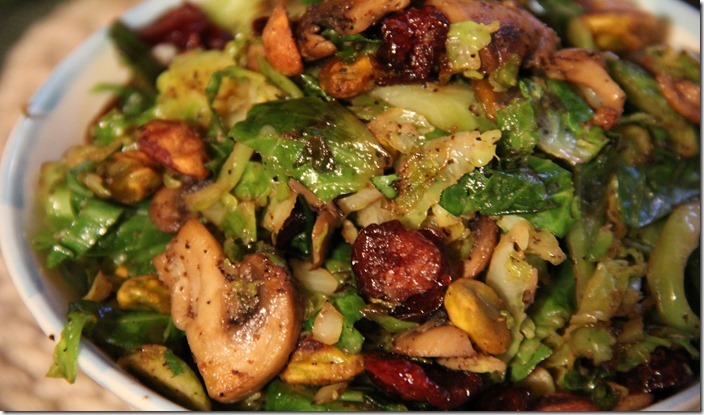 Brussels sprouts are also full of antioxidants. 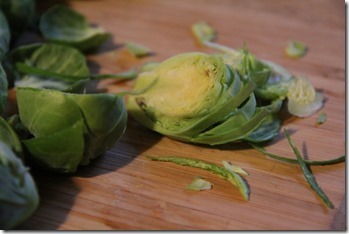 Stem and thinly slice the Brussels sprouts so that they appear shaved and stringy. 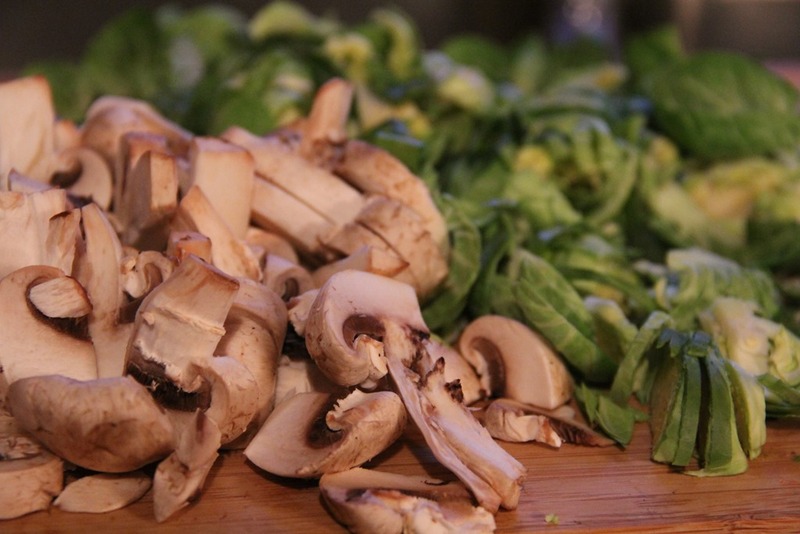 Chop the crimini mushrooms and mince the garlic. 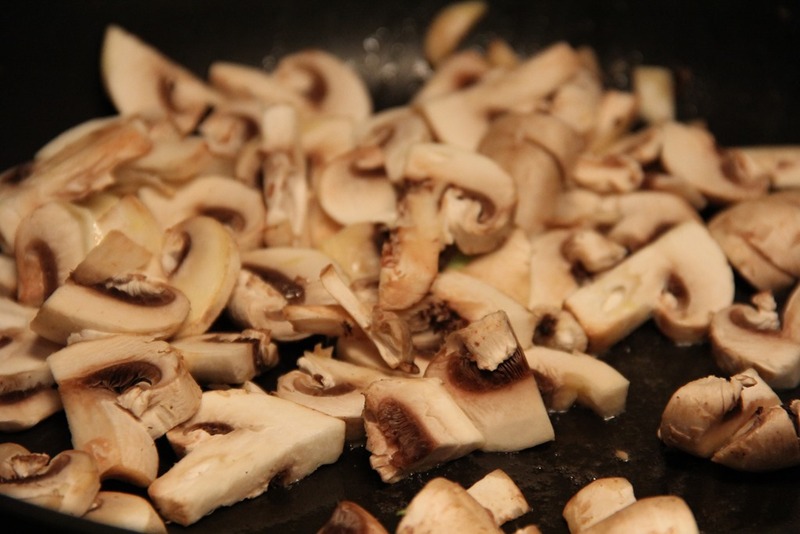 Bring a large pan to medium-high heat and add the butter. 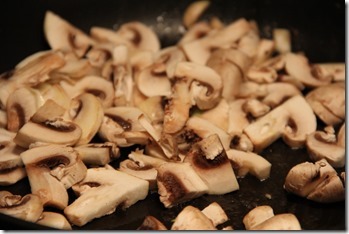 Once it melts, add the mushrooms and cook for 2-3 minutes. 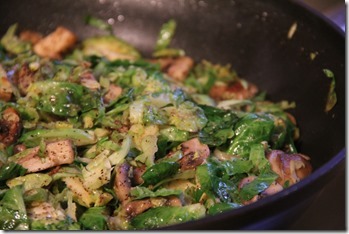 Add the Brussels sprouts, garlic, salt and pepper. 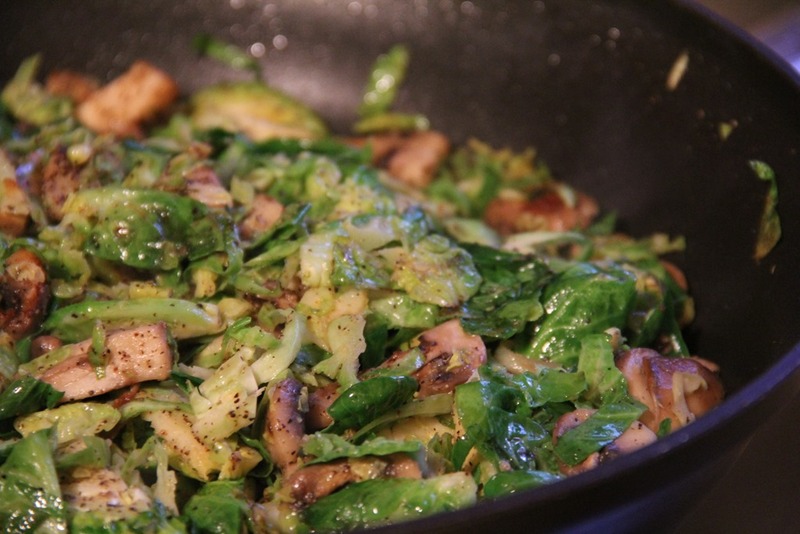 Sauté for 5-8 minutes, or until the Brussels sprouts become tender. 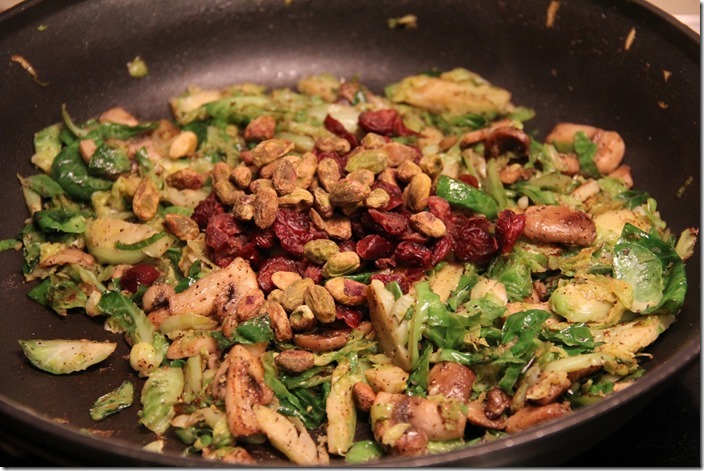 Add the cranberries and pistachios. Toss and cook for 2 more minutes before serving. 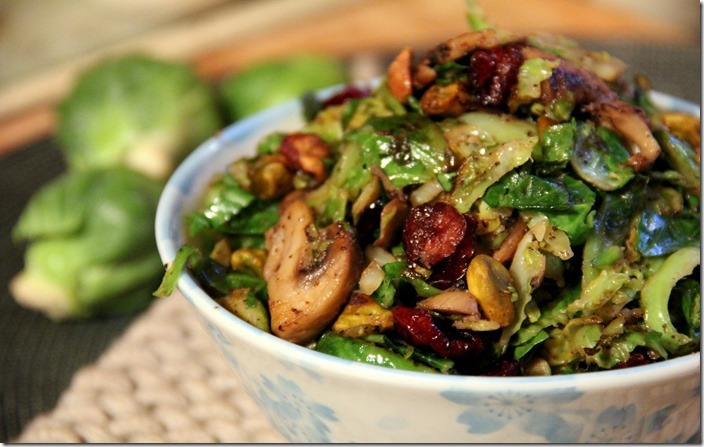 This entry was tagged brussels sprouts, healthy salad recipes, healthy salads, salad, salad recipe. Bookmark the permalink.